WALK FOR LIFE The need to lift up LIFE in South Hampton Roads is critical. As we approach the Walk for Life events, please pray for every individual to rise up for the lives of pre-born babies and their mothers, joining us to reach the goal of 1,000 fund-raising walkers. SHARED TESTIMONIES As clients bravely share their stories in different publications and at events, please continue to pray for these women and their children. We ask our Heavenly Father to shield them from spiritual attack and pull their hearts close to Him. GREAT EXPECTATIONS PARENTING CLASSES Our Great Expectations prenatal care and parenting classes are a wonderful opportunity to educate and encourage families while also modeling Jesus Christ. Please lift up our volunteers who pour themselves out in sharing the gospel and equipping new mothers and families to care for their children. If you or someone you know is searching for restoration and hope after an abortion, please email arm@keimcenters.com. 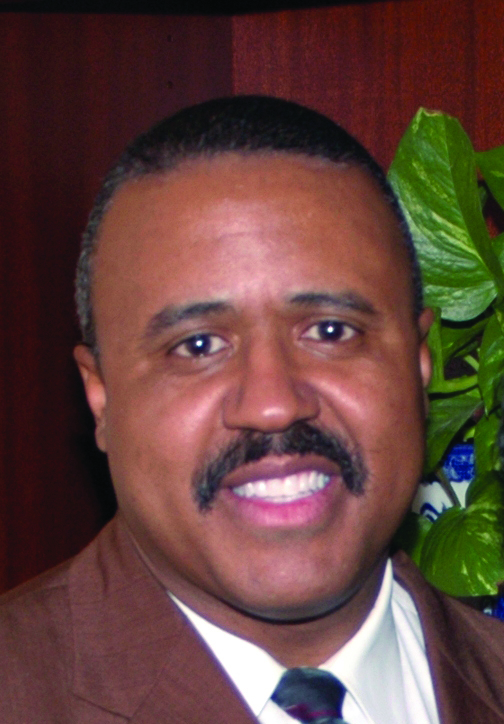 Pastor Edwin L. Goodwin Jr.
Why does your church commit to financially supporting the ministry of Crisis Pregnancy Center of Tidewater? I was invited to my first banquet years ago by a colleague and I’ll never forget the passion displayed by CPC’s president, Toby DeBause, in his defense of the unborn child. It’s really great that a ministry exists totally in support of the rights of unborn children, to whom God has graciously entrusted to our care! As the bride and body of Christ, we are Heaven’s representatives of values and principles – we are said to be “the pillar and ground of truth” (I Timothy 3:15) in His absence. It is our responsibility and deepest desire to champion the cause of rescuing our children from the modern day Pharaohs and Herods. As a Pastor, it’s great to have Christian resources available to assist with caring for God’s people in their times of crisis. 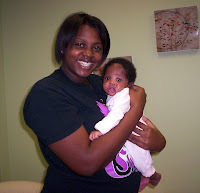 CPC is a welcomed resource to assist with the growing number of women faced with unwanted or untimely pregnancies. The godly counsel and Christ-centered care provided to these often wounded and confused young mothers who are being bombarded by voices of the world is unmatched! Alpha and Omega Baptist Fellowship in Portsmouth, VA is a JMZ 1:27 church. Learn more at www.cpcfriends.org/jmz127. Kristen was finishing her nursing degree, working and making her way on her own. And she was pregnant. After gaining the acceptance of her family and the father of the baby, Kristen welcomed a healthy little boy, Landon Ray, into the world last March. Despite her busy schedule (and lack of sleep! ), Kristen has not forgotten the impact of The Keim Centers. Kristen and her son, Landon, are actual clients. Their names and likenesses have not been changed. Please keep them in prayer. She continues to work full time, press hard toward her goal of becoming a Registered Nurse, and grow in her relationship with our Heavenly Father. 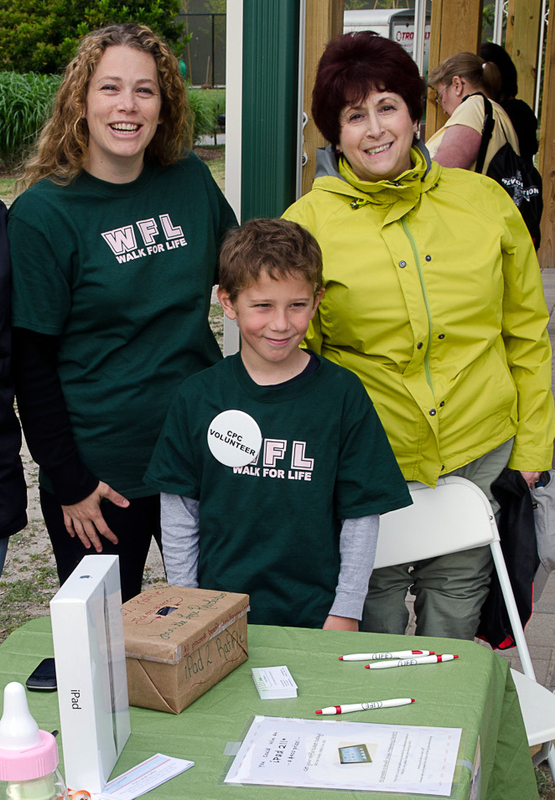 Joanna Pepper proclaims she’s not a natural fundraiser, so she found an innovative way to raise funds for CPC’s Walk for Life. And she’s at it again this year. After she received an iPad for a gift, she knew she had a winning idea. Instead of simply asking for donations, she’d sell tickets and raffle a great prize that appealed to a wide audience. So she sought out a donor to purchase an iPad, printed tickets and found a fundraising solution that worked for her. “The look on the winner's face last year was priceless! He had bought a ticket at the last minute the day of the walk at the zoo,” Joanna recalled. So why does she go to all this work to raise funds? If you’d like to help Joanna raise funds to save lives, you can email her at kennyandjoanna@gmail.com to participate in this year’s raffle for a black 16GB iPad 4 with an Ematic 10-in-1 accessory kit. (Total value for the iPad and accessory kit is $550, which was donated anonymously.) Raffle tickets are $10 each and a limit of 150 will be sold. 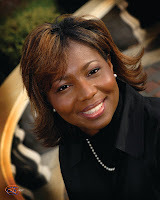 To start your own fund-raising efforts with a personal webpage, visit www.cpcfriends.org/walk. Jenny “The Jewel” Jenson is one of the most remarkable people I’ve ever met. 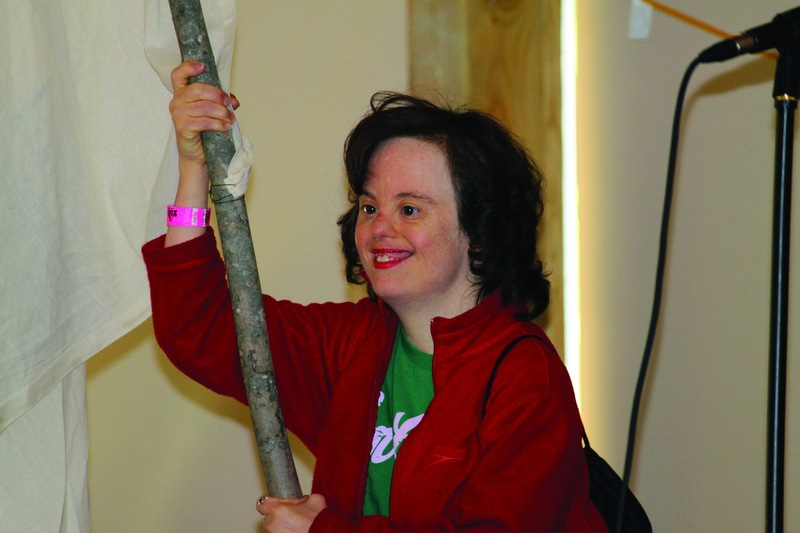 Not only has she been the top walker for the Walk for Life for the last four years, but she has a capacity for love and expressing kindness that is unparalleled by most. She is also a relentless intercessor who will never give up in praying you through any challenge. I am grateful she is my friend. Jenny’s parents are remarkable, too. 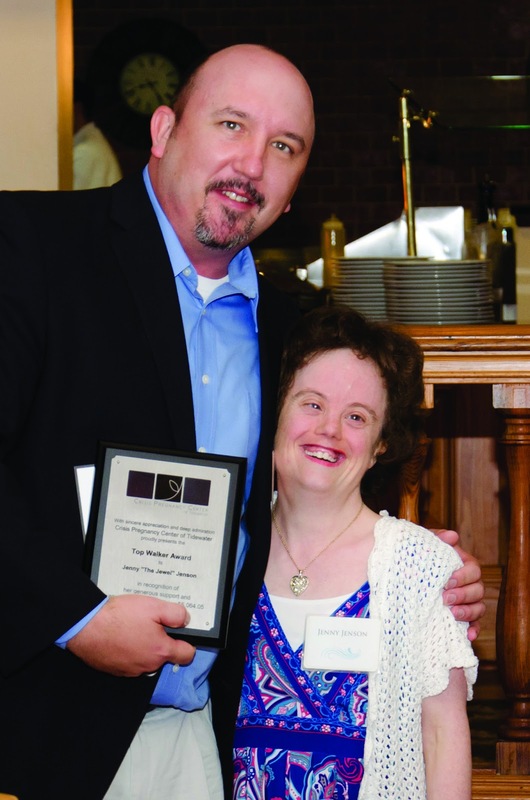 Ron and Cherry are in the group of less than ten percent of parents who chose life for their children after receiving a prenatal diagnosis of Down syndrome. 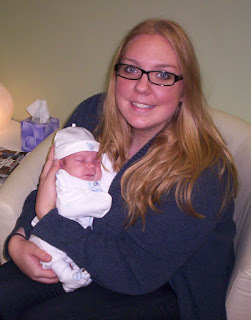 I am so grateful the Jenson’s chose life for Jenny or this world would have been robbed of a great blessing. Although Jenny has a long-standing hold on the “Top Walker” title, she would gladly give up that title to see someone raise more money than she does. She knows how important the Walk for Life is to pre-born babies and their moms. Become a fund-raising walker and take a shot at Jenny’s title. She would love to see you at one of the Walk for Life events this year. Be warned! If you get too close to her, you will get hugged! The funds raised through CPC’s Walk for Life directly support pre-born babies and their moms. Imagine the lives that could be saved! You can make a difference by raising funds and getting your friends and family involved this year. Learn more and register online at www.cpcfriends.org/walk. We'll have a small breakfast and a BIG surprise waiting inside - we are so excited to join with you and your guests at the PRE-WALK RALLY! We really do need you at this event. Not only will you receive an exclusive look inside the life-saving, heart-sparing ministry of CPC, you'll also see how YOU are critical to the success of this year's Walk for Life. It all kicks off tomorrow morning - Saturday, March 9th at 9 a.m. - at New Life Providence Church's Kempsville location (1244 Thompkins Lane, Virginia Beach). Just look for volunteers with signs if you need help finding the right spot. We are honored to lift up LIFE with you. Thank you for helping to make a huge impact in South Hampton Roads! PRE-WALK RALLY CPC’s Pre-Walk Rally is pivotal to the success of the Walk for Life. As we eagerly anticipate these upcoming events, we pray for our community to truly rally together for LIFE. We pray for a renewed interest and excitement to lift up LIFE in South Hampton Roads. CALL CENTER As we continue to reach more women who are in the midst of making a pregnancy decision, our call center maintains the front line of this ministry – handling many high-intensity calls each day. We pray for God to guide each word, filling the lips of our staff and volunteers with what He wants to say. We also pray for God to fill the gap, encouraging each client to not only make an appointment, but walk through our doors to receive His support.